It wasn’t perfect, but it was darn close. 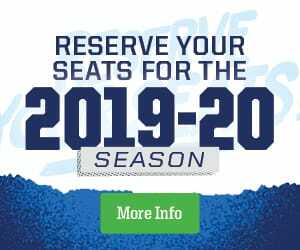 The Manitoba Moose dumped the San Antonio Rampage 4-2 Sunday at Bell MTS Place to wrap up a six game home stand with five wins and a shootout loss. Tack on a victory in Austin, Texas prior to the home stand, and the Moose are the hottest team in the American Hockey League with a point or better in seven in a row (6-0-0-1). 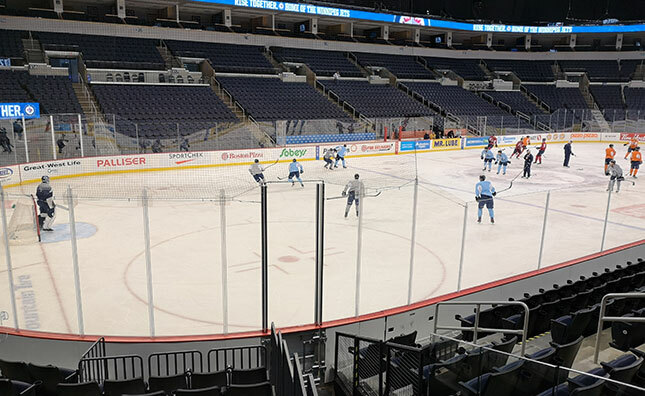 Back in the playoff conversation after being slowed by injuries and call-ups, the Moose were an upbeat bunch at today’s practice in downtown Winnipeg. Bigger picture, the Moose have an 8-2-0-1 record since returning from the holiday break, to climb within six points of a post-season spot after going into Christmas more than a dozen out. Poolman, Cam Schilling, and Logan Stanley provided three of the goals in Sunday’s win as the d-corps grabbed the offensive spotlight to secure the sweep of the Rampage. Up front, Seth Griffith added two assists to extend his point streak to six games (1G, 8A). Goalie Eric Comrie played all six games on the home stand and posted a 1.95 goals-against average and .943 save percentage. Today, the fourth-year pro was recognized as the CCM/AHL Player of the Week for going 4-0-0-0 with a .949 save percentage over the last seven days. Comrie says he likes where he’s at since an early-season re-set. The Moose look to keep it going when they hit the road this week. Wednesday the team starts a three-city Central Division trip with a game in Grand Rapids, Mich. and you can listen live on moosehockey.com, the Moose App, and TSN 1290 or watch on AHLTV starting at 5:45p.m. Central.